Anything that disappears from your psychological inventory is apt to turn up in the guise of a hostile neighbor, who will inevitably arouse your anger and make you aggressive. It is surely better to know that your worst enemy is right there in your own heart. Man‘s war-like instincts are ineradicable – therefore a state of perfect peace is unthinkable (Jung, 1946, par. 456). Phase 1: The early years. In order to examine Jung’s early ideas about the psychological roots of war we will look at the article “Role of the Unconscious” from 1918, which is the most clear and complete text about this topic from Jung’s early years. Phase 2: The Wotan years. In the 1930s Jung goes through a phase in which he refers to the part of the psyche he associates with war and violence by the term “archetype of Wotan.” In order to examine the core ideas of this phase we will look at two key texts from this time period: the short article “Wotan” from 1936 and the transcription of the seminar Jung gave on Nietzsche’s Also Sprach Zarathustra in 1934. Phase 3: The shadow years. From the early 1940s onwards Jung stops using the term “archetype of Wotan” in his texts about war and violence and begins using the term “archetype of the shadow” instead. In order to examine this final developmental stage we will look at the article “Fight With the Shadow” from 1946. To simplify the task of discussing this development, I will refer to the stages outlined above as Phase 1, Phase 2 and Phase 3. The “dividing line” that I will use to demarcate between these phases is the term “archetype of Wotan”, which Jung only uses in Phase 2. Phase 1 is thus defined as lasting up until the point where he begins to use this term, which he does for the first time in the seminar on Zarathustra in 1934; Phase 2 is thus defined as lasting from 1934 until he starts to use the term “archetypal shadow” instead (the earliest text I have found in which this term is present is from 1943 ). Phase 3, lastly, is defined as everything after the end of Phase 2 (1943-1961). As I already explained above, the text from Phase 1 in which Jung elaborates most clearly on his ideas about war and violence is the article “Role of the Unconscious” from 1918, published in an English translation in The Collected Works of C.G. Jung, Volume 10. Since this is also the only text from Phase 1 in which he makes an explicit connection between this topic and the ideas of Nietzsche, it is this text that we will focus on to analyze Jung’s early ideas about the psychological roots of war. A mere fifty generations ago many of us in Europe were no better than primitives. The layer of culture, this pleasing patina, must therefore be quite extraordinarily thin in comparison with the powerfully developed layers of the primitive psyche (Jung, 1918, par. 16). By being repressed into the unconscious, the source from which it originated, the animal in us only becomes more beastlike, and that is no doubt the reason why no religion is so defiled with the spilling of innocent blood as Christianity, and why the world has never seen a bloodier war than the war of the Christian nations. The repressed animal bursts forth in its most savage form when it comes to the surface, and in the process of destroying itself leads to international suicide (Jung, 1918, par. 32). This annoying peculiarity of the barbarian was apparent also to Nietzsche – no doubt from personal experience […] (Jung, 1918, par. 19). What Jung means with this rather vague statement is never made entirely clear in “Role of the Unconscious”, as there are no further references to Nietzsche in its pages. In order to make sense of it, we have to look at two texts from what I have defined in the introduction as Phase 2: the transcription of the seminar Jung gave on Nietzsche‘s Also Sprach Zarathustra in 1934, and the article “Wotan” from 1936. He is the god of storm and frenzy, the unleasher of passions and the lust of battle; moreover he is a superlative magician and artist in illusion who is versed in all secrets of an occult nature (Jung, 1936, par. 375). Archetypes are like riverbeds which dry up when the water deserts them, but which it can find again at any time. An archetype is like an old watercourse along which the water of life has flowed for centuries, digging a deep channel for itself. The longer it has flowed in this channel the more likely it is that sooner or later the water will return to its old bed. The life of the individual as a member of society and particularly as part of the State may be regulated like a canal, but the life of nations is a great rushing river which is utterly beyond human control, in the hands of One who has always been stronger than men (Jung, 1936, par. 395). It is Wotan who gets him, the old wind God breaking forth, the god of inspiration, of madness, of intoxication and wildness, the god of the Berserkers, those wild people who run amok (Jung, 1988 , Vol. 2, p. 1227). Perhaps I am the only one who takes the trouble to go so much into the detail of Zarathustra — far too much, some people may think. So nobody actually realises to what extent he was connected with the unconscious and therefore with the fate of Europe in general (Jung, 1997 , p. xix). Jung’s thinking about the psychological roots of war, however, did not stop in the 1930s. As is the case with many of Jung’s core concepts, he continued to refine his ideas about it, arriving at a final theoretical position only after the end of another time of intense violence: the Second World War. It is to that final theoretical position that we will now turn. In order to examine it, we will look at what I consider to be the most important text Jung wrote about war in the final phase of his career: the short article “Fight With the Shadow”, which Jung originally delivered as a speech in 1946 for BBC radio. Like the rest of the world, [the Germans] did not understand wherein Hitler‘s significance lay, that he symbolized something in every individual. He was the most prodigious personification of all human inferiorities. He was an utterly incapable, unadapted, irresponsible, psychopathic personality, full of empty, infantile fantasies, but cursed with the keen intuition of a rat or a guttersnipe. He represented the shadow, the inferior part of everybody‘s personality, in an overwhelming degree, and this was another reason why they fell for him (Jung, 1946, par. 454). In order to understand this concept properly, it is crucial to realize that Jung used the term shadow in two different ways, making a distinction between the personal shadow and the archetypal shadow. Jungian analyst Daryl Sharp defines the personal shadow as follows: “[it] is composed for the most part of repressed desires and uncivilized impulses, morally inferior motives, childish fantasies and resentments, etc. – all those things about oneself one is not proud of. These unacknowledged personal characteristics are often experienced in others through the mechanism of projection” (Sharp, 1991, p. 123). The personal shadow, then, consists entirely of contents from what Jung called the personal unconscious, as everything that is associated with it has become unconscious through the mechanism of repression and has therefore become unconscious during the individual‘s lifetime. For this reason, there is nothing innate or archetypal about the personal shadow. In his later years, however, Jung began to contrast the personal shadow with the archetypal shadow (see for example Aion par. 19 (Jung, 1952)). In contrast to the personal shadow, the archetypal shadow is innate. It is the same in everyone, and consists of content not acquired during an individual’s lifetime. Instead, it is made up of content that was acquired over the course of mankind’s evolutionary history. As early as 1918, I noticed peculiar disturbances in the unconscious of my German patients which could not be ascribed to their personal psychology. Such non-personal phenomena always manifest themselves in dreams as mythological motifs that are also to be found in legends and fairytales throughout the world. I have called these mythological motifs archetypes (Jung, 1918, par. 447). As Jung makes clear in this quote, the content of the compensatory uprush of instinctual unconscious material he observed as early as 1918 could not be ascribed to the “personal psychology” of his patients. In short, it did not stem from the personal unconscious, but from the collective unconscious, the content of which is innate and archetypal. Another hint that it is the archetypal shadow Jung is talking about in “Fight With the Shadow” is related to the fact that an entire group of people is confronted with this specific unconscious manifestation. As Ann Casement (2006) points out in her introduction to the concept of the shadow in The Handbook of Jungian Psychology, the personal shadow is a compensation for a certain one-sidedness in the life of the individual; the archetypal shadow, however, is constellated in response to a certain one-sidedness in the cultural life of an entire group of people. It is quite clear that Jung is talking about the latter kind of compensation in “Fight With the Shadow”, as he is not analyzing the psychological dynamics of a single individual in this text—rather, he is looking at the dynamics of the psyche of the entire people of Europe, with a special focus on the Germans. Although he does single out Hitler in particular, he makes it quite clear that Hitler was only a mouthpiece: he gave voice to psychological disturbances that were present in every single one of his followers. As I already stated above, apart from the terminology, no core ideas have changed in Phase 3 about war and violence. The archetypal shadow is the term Jung now uses to describe the exact same phenomenon, which he explained by using the term archetype of Wotan in Phase 2. Is it the case, then, that these two terms are synonyms? Do both the archetype of Wotan and the archetype of the shadow refer to the same archetypal part of the psyche? Even though Jung never explicitly explains that this is the case, I believe that it is very much possible to establish that this is true. One way to do this is by examining the mythological symbols Jung associated with these two archetypes. When discussing the archetypal shadow in Phase 3 of his career, for example, Jung frequently stated that the Christian figure of the devil was a manifestation of this particular archetype (Jung, 1943, par. 143). In Phase 2, Jung said exactly the same about the archetype of Wotan (Jung, 1936, par. 374). On top of the fact that the mythic figures he associated with these two archetypes are the same, we should also note that the phenomenon Jung tried to explain by means of these concepts are the same. In Phase 2, for example, Jung uses the term archetype of Wotan to explain the success of Hitler at the end of the 1930s; in Phase 3 he explains the success of Hitler by using the term archetypal shadow. To me, this means that concluding that the archetype of Wotan and the archetype of the shadow were synonyms for Jung is entirely justified. So why did Jung stop using the term archetype of Wotan in Phase 3? For myself, I have come to conclude that this change of terminology is probably related to the fact that calling Wotan an archetype can give rise to the belief that one subscribes to the notion of a racial unconscious. The God Wotan, needless to say, is a mythic figure found only in Germanic culture, which means that it makes very little sense to say that he is innate, unless one is of the opinion that there is a Germanic racial unconscious with innate material only to be found in Germanic people. Although Jung flirted with ideas of this nature, most Jung scholars have concluded that he abandoned such ideas in the forties and did not make them a part of his final theoretical position. What I think Jung concluded in Phase 3 is that Wotan is not an archetype, but what is known in Jungian language as an “archetypal image”—a specific cultural manifestation of a collective innate structure. It is the innate structure which is inherited and to be found in every individual; the cultural manifestations the archetype gives rise to, however, are specific only to a certain group of people. By using the more general term “archetypal shadow” for the innate psychological structure, it becomes much more clear that there is no room for race-specific innate components in Jung’s theoretical framework. That Jung would want to stress this after the atrocities of the Nazi regime should come as no surprise. Needless to say, the idea that there is a difference between the Germanic psyche and the psyche of other races was something that the Nazis not only flirted with, but turned into the bedrock of their elitist, race-based philosophy. This fear of being accused of a Nazi sympathizer perhaps also explains why Jung stops making so many references to the ideas of Nietzsche in Phase 3. As we have seen, such references are abundantly present in Phase 2, with Jung even devoting an entire seminar to Also Sprach Zarathustra. In Phase 3, however, the references to Nietzsche become much less frequent and elaborate. After the end of World War Two Nietzsche had become a controversial figure: his concept of the Ã¼bermensch had been popular among the Nazi party elite, which they joined with great enthusiasm to their own pseudo-scientific theories about the general superiority of the Arian race. Jung perhaps thought it wiser to stop explaining his own ideas by comparing them to Nietzsche, as such comparisons could quite easily lead to him being mistaken for a closet Nazi supporter or a defender of elitist racial theories . Nevertheless, I do think that the information provided in this article lends strong support to the notion that Jung’s final theoretical position on war and violence was inspired by Nietzsche. What I hope to have shown clearly and persuasively is that the ideas Jung put forward about the archetype of the shadow in Phase 3 stand quite firmly at the end of a long line of development, which began with “Role of the Unconscious” in Phase 1 and continued with the seminar on Zarathustra and the “Wotan” article in Phase 2. 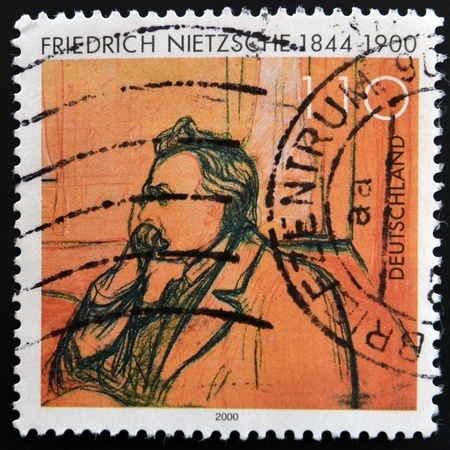 Since Jung drew quite openly on Nietzsche’s ideas in these first two phases, it follows logically that the theoretical position he defends in Phase 3 represents the outcome of his dialogue with Nietzsche’s work. I think seeing this development clearly is important for several reasons. For one, it shows us how important a historical approach is when reading Jung’s work. He made important and drastic changes to both his ideas and terminology over time, which means one should be careful when combining ideas from texts from different time periods. It also sheds new light on his concept of the shadow, illuminating how important the difference between the personal and archetypal shadow is and showing very clearly how central the concept of the archetypal shadow is to Jung‘s final theoretical take on war and conflict. Lastly, I think this development also makes overwhelmingly clear how important Nietzsche was to Jung. Most importantly, it shows to which Jungian concept we might turn if we want to know where we can see Nietzsche‘s influence most strongly. As I hope to have shown in this article there is substantial evidence that this concept is the archetypal shadow. Casement, A. (2006). The Shadow. In R. K. Papadopoulos (Ed. ), The Handbook of Jungian Psychology. New York & London: Routledge. Jung, C. G. (1918). The Role of the Unconscious. In The Collected Works of C.G. Jung (Vol. 10). Princeton: Princeton University Press. Jung, C. G. (1936). Wotan. In The Collected Works of C.G. Jung (Vol. 10). Princeton: Princeton University Press. Jung, C. G. (1943). On the Psychology of the Unconscious. In The Collected Works of C.G. Jung (Vol. 7). Princeton: Princeton University Press. Jung, C. G. (1946). Fight with the Shadow. In The Collected Works of C.G. Jung (Vol. 10). Princeton: Princeton University Press. Jung, C. G. (1952). Aion. In The Collected Works of C.G. Jung (Vol. 9.ii). Princeton: Princeton University Press. Jung, C. G. (1965 ). Memories, dreams, reflections. New York: Random House. Jung, C. G. (1988 ). Nietzsche‘s Zarathustra : notes of the seminar given in 1934-1939. Princeton: Princeton University Press. Jung, C. G. (1997 ). Jung’s seminar on Nietzsche‘s Zarathustra (abridged edition). Princeton: Princeton University Press. Rensma, R. (2012). Jung’s Reception of Friedrich Nietzsche: A Roadmap for the Uninitiated. Depth Insights, 1(3). Safranski, R. d. (2002). Nietzsche : A Philosophical Biography. London: Granta. Sharp, D. (1991). Jung Lexicon – A Primer of Terms and Concepts. Toronto: Inner City Books. Dr. Ritske Rensma is a lecturer in the field of Religious Studies at University College Roosevelt, an international honors college of the University of Utrecht in the Netherlands. He is the author of the book The Innateness of Myth (London: Bloomsbury, 2010), which analyses Jung’s influence on the American comparative mythologist Joseph Campbell.